Kim Oppy is our official “office manager”. The title however, is not fitting. Kim IS the office. Even though she does not do it alone, Kim is integral to all the cogwheels of the office. Most likely, when you call the clinic, you will talk with Kim. She is your first contact when scheduling your first appointment. Simply put, no one does it better. Not only can she answer scheduling, billing, funding, and insurance questions, but she is genuinely invested in getting to know you. What makes Kim’s day is when a child finally is able to say her name and greet her. She loves spending time with her family and friends. But honestly, Kim is a workaholic. Not because it’s a job requirement, but because she loves what she does and the part she plays in helping families everyday. Marisa Wagner works in the office and is always happy to assist our families any way she can. Marisa joined our team in 2017 and has become invaluable at the front desk. She was born in Alabama but has lived in the Dayton area since she was 5 years old. She is married to Jake and together they have an American Bulldog named Jax. She enjoys spending time with her friends and family as well as reading, hiking, and kayaking. Every year she goes to a concert with her twin sister, Amanda, to celebrate their birthday. Marisa dreams of traveling the world one day. Let her know where you’ve been and what places should be added to her dream list! 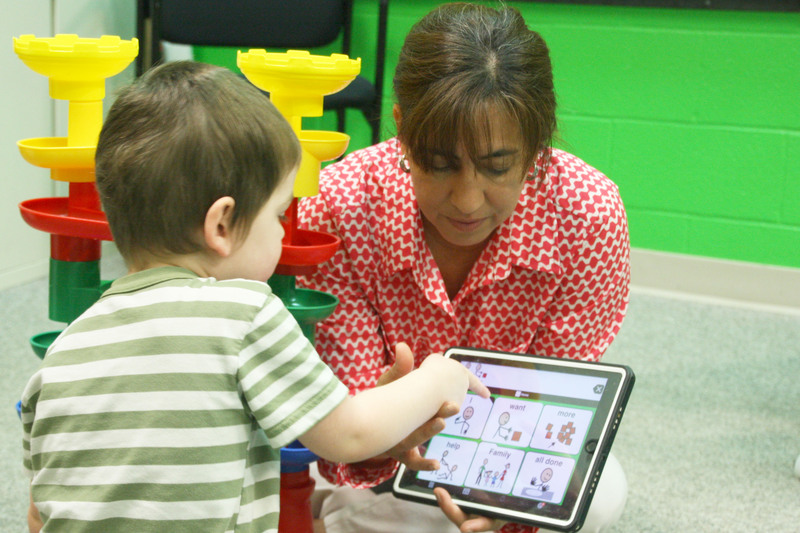 Speech Pathologists provide specialized services to improve expressive language skills, receptive language skills, feeding, swallowing, phonology, and more. 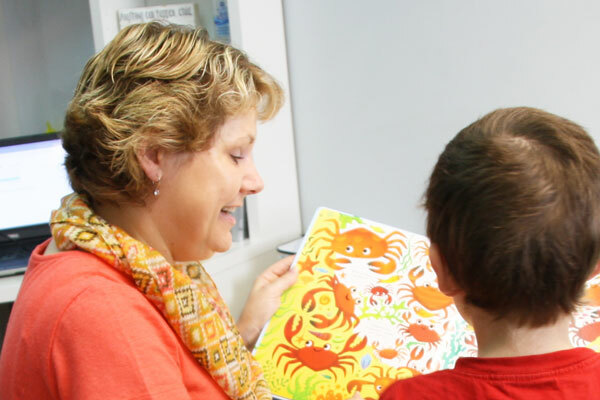 Leti Hall has been a speech pathologist for over 20 years. She graduated from Our Lady of the Lake University in San Antonio, Texas. She moved here to follow her husband who was an active-duty Air Force officer. 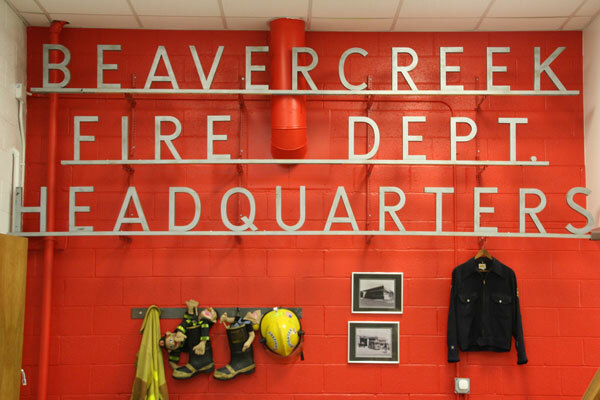 They have since planted roots and have stayed to enjoy raising their son and daughter in beautiful Beavercreek. Leti enjoys practicing as a speech pathologist part time and uses the remaining time running Therapy Connections. She jokes that she is the resident financial officer, therapist assistant and emergency plumber. 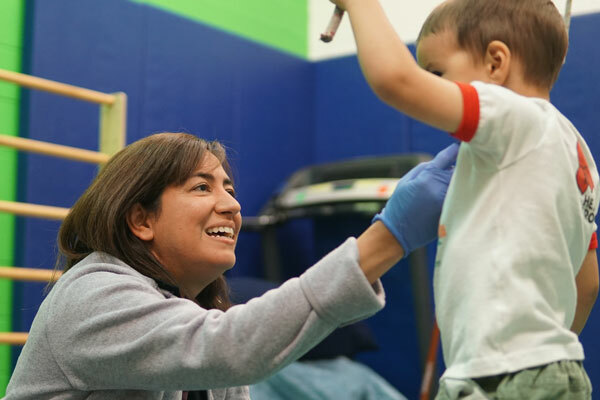 Leti enjoys volunteering her time supporting Owen’s Place as a committee member and with Greenebucs where her husband and son have jumped in learning to build adaptive bikes for children and veterans who would not otherwise be able to ride a bike. She loves to cook (and eat) so please share with her some of your favorite recipes! 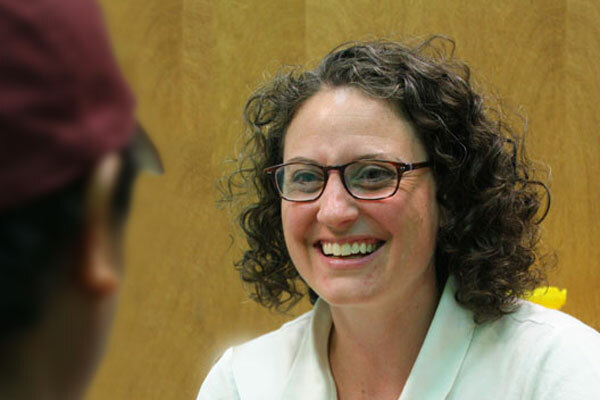 Stacey Davis has been a practicing Speech Pathologist for 15 years and with Therapy Connections for the last 9 years. She graduated from Ohio University and the University of Cincinnati. She is the resident specialist in all areas of communication, especially language, processing, phonological awareness & executive functioning. Stacey loves when students learn “how to learn” in a way that fits their strengths. Her creativity, continued education and experience feed their successes! Stacey loves listening to podcasts on language development and shares the information with her colleagues. At the end of the day, we congregate in her office to discuss podcasts, articles, books and new treatment tools. To say that Stacey is passionate is putting it mildly. However, also likes to spend time playing games (games that can be adapted to build language skills), reading (about executive functioning skills), and spending time with her family. We just love her enthusiasm and her beautiful family! Lorie Burger has been a practicing Speech Pathologist with 35 years of experience. Therapy Connections has been blessed to be a part of her last 17 years! Lorie has worked in medical settings, schools and outpatient clinics. So, if we have any questions about anything regarding anything, we ask Lorie! She is continually learning and challenging herself and others to be the best. She asks great questions and seeks answers from the best sources in our field from augmentative communication, to language disorders, to complex oral and feeding deficits. Lorie earned her degrees from Miami University and Ohio University. For fun, Lorie loves spending time outdoors and creating jewelry using flamework glass and metal. She lives with her husband, Mark in Beavercreek. 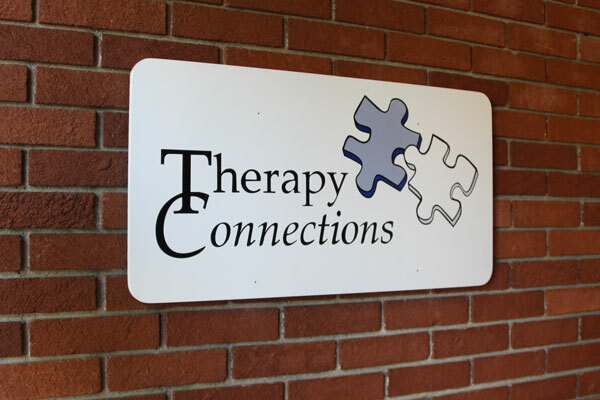 Cindi Williams has been a Speech Pathologist at Therapy Connections for 6 years. She is originally from Atlanta, GA and graduated with from Vanderbilt University, and the University of South Alabama. Cindi additionally has a master’s degree in Educational Psychology from the University of Illinois. Due to Cindi’s vast educational background, facilitating communication is her strength. Cindi became a speech pathologist when she realized how much she loved talking with children. She finds joy in helping them find their voice. Cindi enjoys scrapbooking, genealogy and going on adventures with her friends, husband, Hank and 2 teenage sons. Katie Depp has been with Therapy Connections for over 10 years! She is an excellent speech pathologist with a passion for helping children. Social skills, feeding therapy and 'the complex child' are her areas of special interests. Katie is calm, cool and collected when helping her families problem solve to find practical and effective treatment methods. Always on the search for new treatment methods and innovating therapy tools, Katie is a natural-born leader who excels in motivating those around her! Katie has chosen impressive continuing education coursework to further her training and knowledge from the key leaders in the profession. Katie lives in Centerville with her husband and 2 children. Aside from all things speech therapy, she enjoys baking and spending time with her family. Trish is one of our speech pathologists who is never supposed to retire (we hope)! 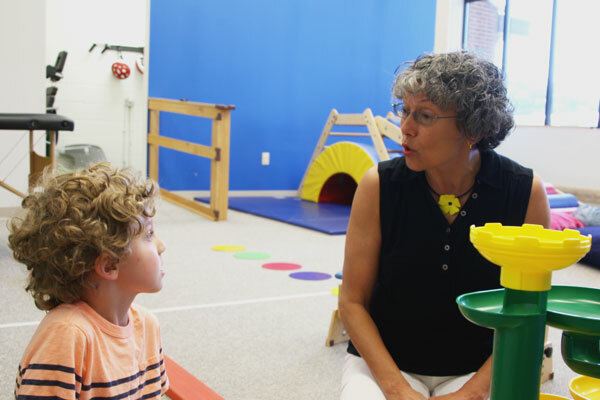 She worked in Centerville schools and after 37 years of practice she has become a valuable part-time Therapy Connections team member. Her experience and creativity have been such an asset to our group and families. Trish shares her love of books in therapy. When not at Therapy Connections, Trish spoils her grandchildren and is a competitive ballroom and country dancer. Bo Slutz! Bo is loved by all who meet him. We met him 5 years ago as a student Physical Therapist and immediately knew he would be the perfect fit at Therapy Connections. He graduated from Wright State University and the University of Dayton. Bo makes hard work fun. He is inspiring, understanding and driven. He supports the PT department in helping to acquire new equipment and education to support a diverse group of patients seen at our clinic. Hands down, Bo has the biggest and best sock collection! He lives in the country on a small farm and encourages healthy eating. Even though Bo has strong Ohio roots, he enjoys travelling across the globe! Laura Ferguson has been with Therapy Connections for almost 3 years. She graduated from the University of Cincinnati. She is a super-motivating Physical Therapist and completes many exercises with her students. Her years of ballet training show. Laura will use a variety of training modalities and build in complexity to find the ‘just right’ challenge in creative ways. Laura is exceptionally efficient, a positive thinker and a compassionate clinician. Laura, her husband Chris and their 3 young children live in Beavercreek. Marcia is a physical therapist extraordinaire! She retired from Montgomery County, Dayton City and Greene County Schools after 35 years of service. She also worked at St. Elizabeth Hospital. 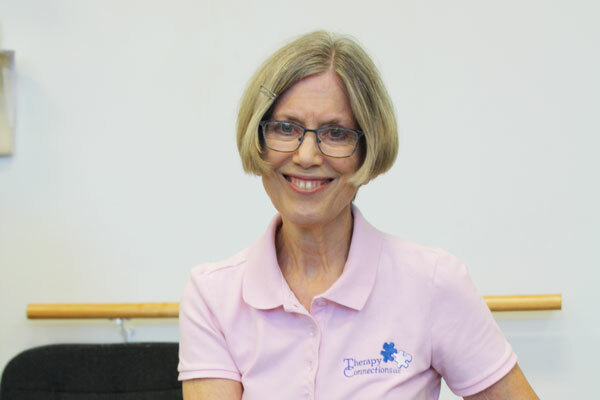 Marcia has been with Therapy Connections for the last five years. She is a member of Greenebucs and volunteers her time supporting this great group. Her most enviable skills have to be her Zumba dance skills! She has more energy than anyone in the clinic and we are lucky to have her. Kari Shank is our newest staff, physical therapist. She came to us as a student at the beginning of 2018. By the end of her rotation, we found it too difficult to let her go, so we offered her a position at Therapy Connections. Kari showed us that she possessed excellent clinical skills, she became a team member, and worked closely with all clinicians to best support the children she treated. We just couldn’t let her go! She created connections with families and sought to understand their current needs as well as long-term goals. After graduating, Kari looks forward to enjoying new found spare time to travel and spend time at the lake with her family. Help us to welcome Kari to our group! Sandy Kubacki has been on our Physical Therapy team since 2012. She graduated from the University of Illinois at Chicago (UIC). 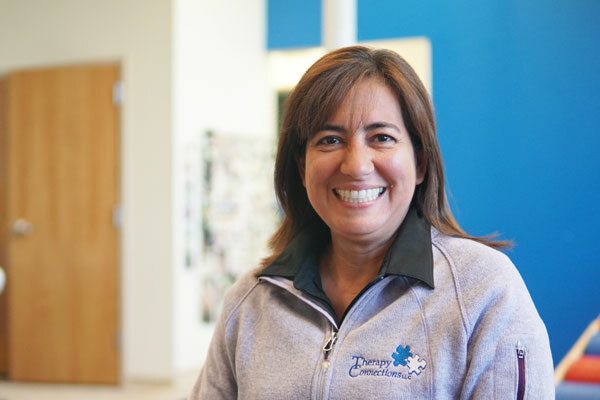 Sandy’s main goal is to help children experience their world better through play. She is calming and very creative. 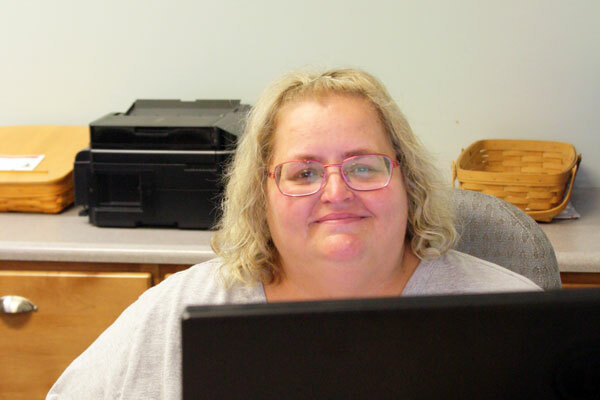 Sandy has had four children since working at Therapy Connections and continues to be an active member of our community. Not only does she use her education, but her personal “mommy” experience counts for a lot! Sandy played on her college bowling team but has semi-retired to raise her children. We are grateful Sandy uses her educational talents here with us! Occupational therapists promote skills that enable self help, problem solving, visual perception, coordination and self-regulation. Katie Hagen has been with Therapy Connections since 2010, soon after graduating from St. Louis University. As an Occupational Therapist, Katie challenges herself to keep up on the latest research including but not limited to: feeding, sensory integration, handwriting, social skills (Social Thinking), Integrated Listening, mental health in pediatrics, & reflex integration. Katie is our resident book lover and continuously requests new educational materials to help keep us current, using newest research and best practice materials, ideas and tools for our clinic. Her personal passions include nutrition and wellness. Katie enjoys traveling, hiking and rock climbing with her husband and son. Tarah Ginter is the OT with the mostest (hours)! She is a full-time Occupational Therapist who also came to Therapy Connections as a student in 2015. She was so impressive as a clinician and all-around great person that we had to keep her! Tarah graduated from the University of Findlay and never once doubted her passion in pediatrics. Her flexibility in clientele has helped her excel in her clinical skills. She has received specialized training in handwriting treatment modalities as well as Integrated Listening and Therapeutic Listening programs. Tarah now leads the OT department in training other students in our clinic. And how lucky are they?! Tarah is incredibly patient, playful and always has fun in the clinic. We always hear Tarah laughing during the day and know that she truly loves what she does. Tarah and Darian were high school sweethearts and were recently married. They have a fur baby, Roxy. 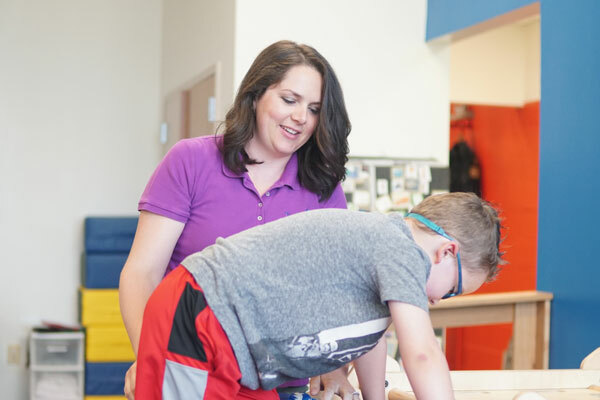 Jeni Rutledge has practiced as an Occupational Therapist at Therapy Connections for 13 years! She started working as an Easter Seals daycare provider, focusing on caring for children with needs beyond what most daycares provide. She learned about occupational therapy and fell in love with helping children grow and become more functional and confident through play. 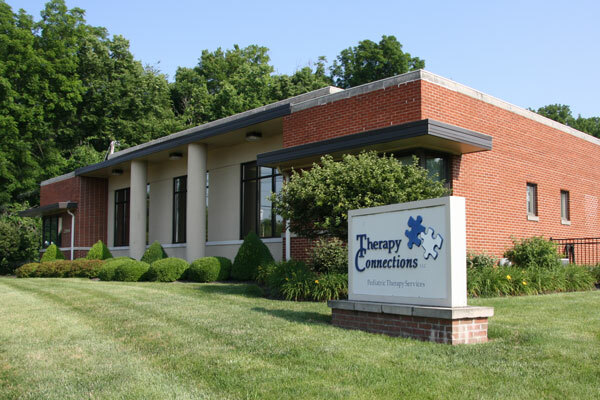 She studied at the University of Dayton and University of Indianapolis and joined Therapy Connections soon after. 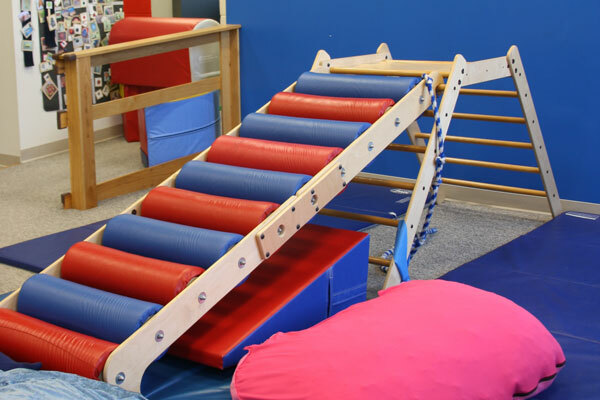 Today, Jeni continues to use play and movement as tools in her everyday practice here at Therapy Connections. She is creative and will “think outside the box” when developing treatment plans drawing from her years of experience and current evidence-based research. Jeni excitedly brings new literature and professional conversations into the clinic regularly. We can always count on Jeni to start interesting ‘water cooler’ conversations. Lucy has worked as an occupational therapist for over 30 years. She graduated from The Ohio State Unversity and Wright State University. She has extensive experience - having worked in schools and hospital settings as well as home-based therapy. Lucy is a believer that play is a children's work and beneficial for all. And it shows in her therapy sessions! 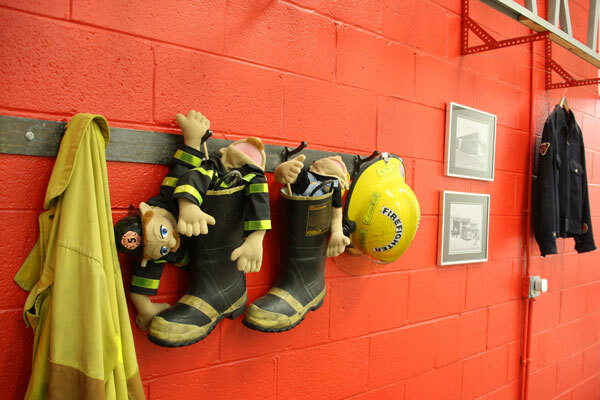 Lucy incorporates occupational therapy work into fun, creative learning experiences. Lucy's most important role however, is that of mom and grandma.